Most companies have long engaged their employees in some form of volunteerism, often with loosely defined goals around making a positive impact in their local communities. In today’s business environment more and more companies are looking to build volunteer initiatives that leverage the unique skills and expertise of their employees. It’s another strong example of how leading businesses are integrating their CSR strategy and their business strategy to drive success. There’s good reason for this shift—the business case for skills-based volunteering is well documented. Plus, this approach brings meaningful benefits for employees as well as community partners. Now that corporate leaders generally understandwhy a skills-based program is necessary and valuable, employee engagement professionals should focus on educating ourselves and our colleagues about how to move from a traditional corporate volunteer program to a skills-based program. Making this transition is no small task, especially for large corporations. At Prudential, we recently completed year one of a multi-year plan to integrate skills-based and pro bono volunteering across our business. Although we still have a long way to go before this strategy is fully implemented, we have already learned valuable lessons that any corporate engagement professional would be wise to keep in mind. 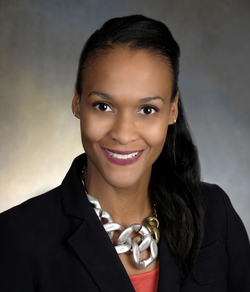 Spring Lacy joined Prudential in June 2013 as Vice President of Corporate & Community Engagement. Her responsibilities include providing strategic leadership and oversight in the execution of domestic and global employee and corporate engagement activities. In this role, she is responsible for all employee volunteer and recognition programs, including Dollars for Doers, Prudential’s national board placement program and other projects that help build the capacity of the nonprofit sector. Lacy also provides leadership for a team of relationship managers who work with the businesses to identify opportunities to address social needs while meeting business objectives. Click here to learn more about Spring.